Family businesses and factors of their growth | Sociologický ústav AV ČR, v.v.i. Benáček, Vladimír, Eva Michalíková. 2010. „Family businesses and factors of their growth.“ Pp. 133-160 in Večerník, Jiří (ed.). Individuals and Households in the Czech Republic and CEE countries. Praha: Sociologický ústav AV ČR, v.v.i. 218 s. ISBN 978-80-7330-186-6. 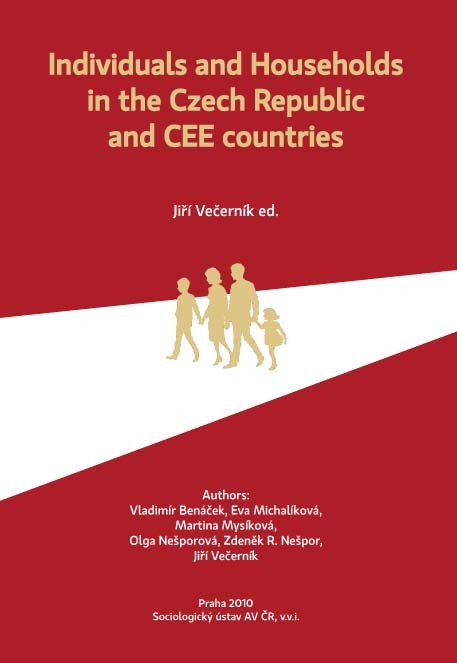 The study aims to analytically interlink the optics of individuals and households and focus on their demographic and socio-economic behaviour since 1989 in the Czech Republic, and compare these observations with other EU countries, primarily those of Central Eastern Europe (CEE). The fields covered are family formation and life trajectories, earnings disparities and income inequality, the situation of self-employed and family businesses, and religion affiliation of individuals and households.